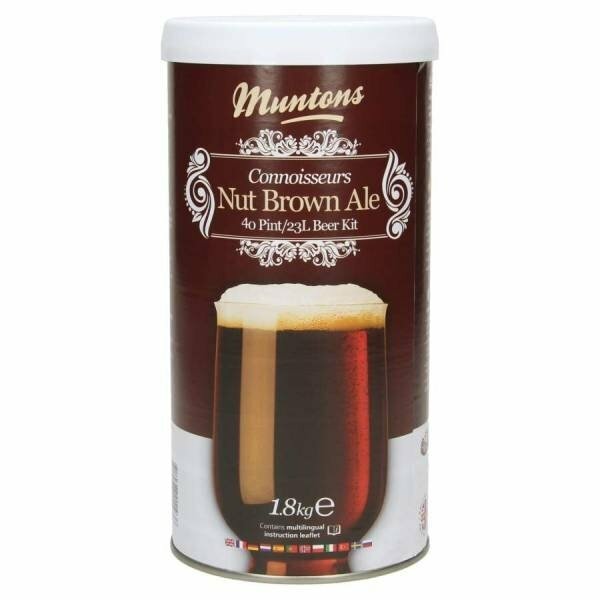 The Muntons Nut Brown Ale is a dark and smooth brown ale that has a slightly nutty character. It has a medium strength of 4.3% ABV which makes it a great every-day beer. This beer kit makes for 23 litres of dark ale. Best enjoyed when served slightly chilled at 13°C cellar temperature.